I walked home from the local grocery store Ringdal exactly 35 years ago today with a plastic bag containing this double album by The Clash. It was priced as a single LP but had two vinyl records tucked inside. It was a frosty day, and when I was half way home I had to take off the plastic wrapping. To this day I can remember the smell, that wonderful smell of new vinyl on a frosty day. The inner sleeves had “hand written” lyrics and it has to be the lyrics I’ve read most often. As a 13 year old boy from norway this was much more important in learning the english language than any class at school. Both historically and personally The Clash, London Calling was massively crucial. 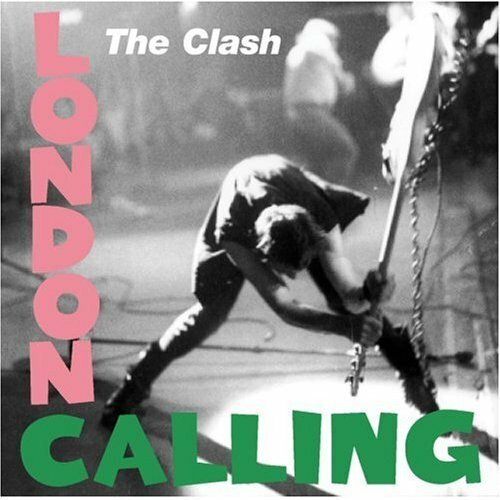 London Calling is the third studio album by the English rock band The Clash. It was released in the United Kingdom on 14 December 1979 through CBS Records, and in the United States in January 1980 through Epic Records. The album represented a change in The Clash’s musical style, featuring elements of ska, funk, pop, soul, jazz, rockabilly, and reggae more prominently than in their previous two albums. This fantastic catchy song was not listed on the cover of the original album so it was my first experience with tha so called bonus tracks that is so common these days. 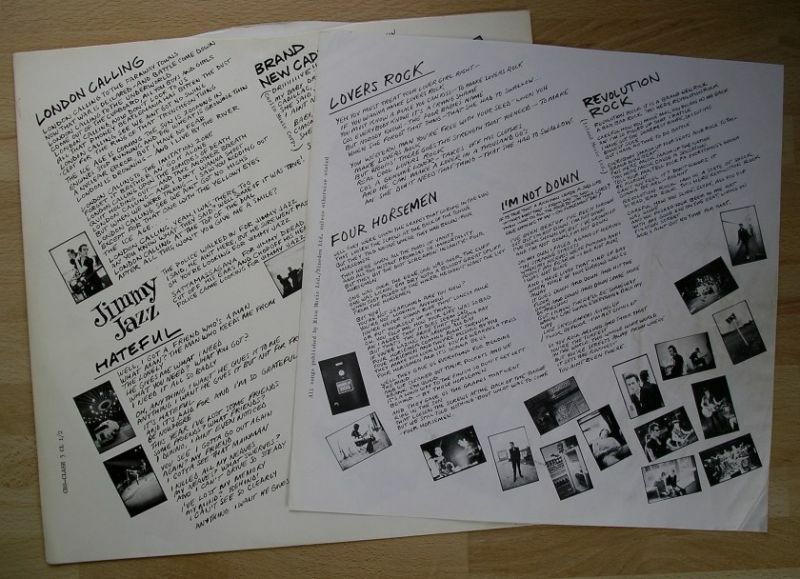 The Lyrics was however printed on the inner sleeve. This album has been in my top ten since it was released, it is a classic rock’n roll album that everyone should own. I do not concider it a punk rock album musically but the attitude that reeks off this album is quintessential punk. The styles and genres are excitingly mixed and woven together, but laid on top of a punk rock foundation. It is still one of the albums I play most in my collection of..well, a lot of albums (and files).